This Elvis Presley biography DEEPEST LOVE-----LOST page is dedicated to providing quality Elvis Presley biography Elvis Tribute information, pictures and articles for your entertainment. 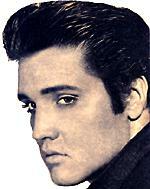 The contents of this Elvis Presley site is written by a fan for his fans about DEEPEST LOVE-----LOST. But, even a child born to this "King"
The doctor became careless with the "King"
On he went, afterall he was "King"
The voice of Black Velvet, the perfect "King"
Description of Elvis Presley site contents: This site contains Elvis Presley information, history on Elvis Presley life story, Elvis Presley pictures and photos, Elvis Presley song lyrics, Elvis Presley movie resources, free e-books and articles listed for your convenient search in subjects of: Elvis Presley pictures and photos, Elvis Presley song lyrics, Elvis Presley movie resources, Elvis Presley childhood, Elvis Presley Band members , Elvis Presley girlfriends, Elvis Presley spiritual medium stories, Elvis Presley Memphis mafia stories, Elvis Presley diary quotes, Elvis Tribute, Elvis Presley movie and music details in relation to the Elvis Presley autobiography and interviews of friends and family members for the Elvis Presley website written by a fan for his fans.